It’s hard to believe IndieBound is nearly a year old. But in that time it’s been adopted by hundreds of indie bookstores, recognized by thousands of consumers, and commented on by countless bloggers and others. Check out the attached stats and examples for the evidence! Booksellers like you are talking—whether online, at conferences, even visiting each others’ stores. All of you I’ve spoken with before have been tremendously helpful in getting us this far, and the few of you I haven’t met or spoken to I’m very eager to get to know. So I’m asking for your help. - Perhaps you know about stores using IndieBound that are under our radar? Who are you talking to? As you talk with each other, keep us in the loop, and if you can, bring us in on the conversation. - Do you know any stores who are struggling, that could really use marketing help? We’re attempting to find these stores and give them personalized help with DIY, community integration, and social media. - One thing I’ve stressed this past year is that IndieBound is always open to new ideas, new features, new everything. What is your ideal IndieBound? Send us your ideas. 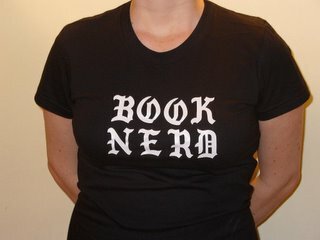 We started a forum on IndieBound.org that we’re opening up to all of you (http://www.indiebound.org/forum). Come here to discuss anything IndieBound-related, share news, ask questions—anything! Feel free to start discussions on topics you feel need some extra light. If any booksellers you talk to want to be part of the forum, let me know. - One idea we’ve been discussing is a bookseller-only/trade-only group on Facebook, to disseminate info and get you guys talking. Would you participate in such a group? Or would the IndieBound.org forum be sufficient? If you’re already spending time on Facebook, maybe that would be the place to meet. Let me know! - We’re always available through email, and you can call us anytime at our office numbers. Of course you’ll run into us on Facebook and twitter, too. The point is, get in touch with us!